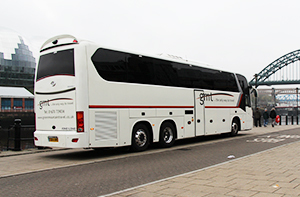 To take a look inside our luxurious mini busses & coaches, watch the video below. Green Mountain Travel operates a team of reliable, experienced and well presented drivers so you can rest assured that your travel plans will run smoothly. Safety is also a top priority; all Green Mountain Travel’s minibuses and coaches are maintained to the highest standards and all seats are fitted with individual lap belts. The Green Mountain Travel fleet offers 6-16 seater minibuses, 24 seater mini-coaches and 51 seater coaches. 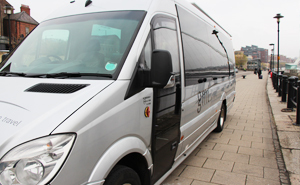 Our 16 seater vehicles with the extended boot are specifically suited to airport transfer parties of up to 16 passengers, each with an item of large luggage. Our mini-coaches are ideal for holiday transfer or skiing and golfing parties, being less than 5 minutes from Newcastle airport for hassle free transfers. 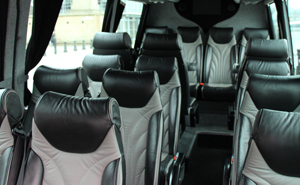 Browse the information in our Fleet area on the web site for specific details about our range of minibuses and coaches.